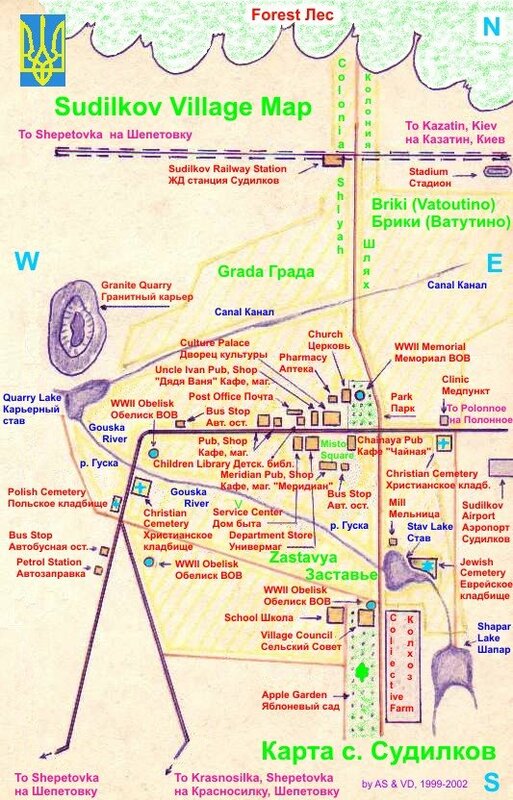 Since we have been discussing for a while various sifrey Chasidus, it might be interesting to describe some less known sforim of early tzadikim, which still might be of interest today to learners of Chasidus, but are simply not widely known, and hence not learned often. I give only some brief information. Whoever wants to know more about these tzadikim should look for example in a beautiful anthology of biographies of Chasidic tzadikim - “Oyr Yekoroys”. Rabbi Yisroel Chorif miSatanov zy”o. 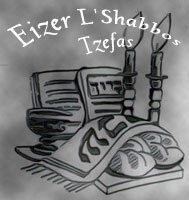 Seyfer “Ateres Tiferes Yisroel” - More known simply as Tiferes Yisroel. Very profound discourses on seyder parshiyoys, full of yichudim and hasogoys. Available in recent copy reprints of older edition. Deep expositions on Kriyas Shma. In ksav yad only. He was one of the intimate talmidim of Baal Shem Tov. Rabbi Yisroel was an outstanding genius and had a very sharp mind (so he was called Chorif, that means “Sharp”). Originally (like quite a number of Baal Shem Tov’s talmidim) he was a misnaged, but later became a staunch talmid of Baal Shem Tov. It is evident from his seyfer, that he was Baal Shem Tov’s talmid, as he quotes complicated kavonoys and yichudim, which he received from his master. Rabbi Meir Margolius miBrod zy”o (Baal Meir Nesivim). Seyfer “Soyd Yachin uBoyaz” - A classical work on Chasidic hashkofo. It teaches an approach to limud, tfilo, tshuvo in a very Chasidic fashion. 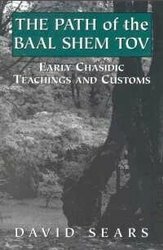 It also brings a very deep insight into what is Toyro lishmo according to Baal Shem Tov (which is mysterious practice of dveykus to the letters of Toyro which is half-secretly discussed in early Chasidic sforim). Available in new very recent print. Shayloys uTshuvoys “Meir Nesivim” - The first part of “Meir Nesivim” are classic Halocho tshuvoys. The second part of it are actually his deep maymorim on Chumash full with Kobolo and Chasidus. Out of print for a long time. Might be available in rare sforim stores. He was one of the earliest talmidim of the Baal Shem Tov (he became his talmid even before Baal Shem Tov’s hisgalus). He was one of the famous poyskim of his generation, serving as an Ov Beys Din in Ostrog. Seyfer “Koyl Arye”- Chidushim (al derech pshat and drush) on parshiyoys. He also quotes Baal Shem Tov. Available in recent copy reprint of old Koretz edition. He was also an early and close Baal Shem Tov’s talmid, serving as a moychiach (moral mentor/preacher) in Polnoe, where Reb Yakoyv Yoysef zy”o was the Rov. Seyfer “Divrey Moyshe” Chasidic discourses on Chumash. Its style is quite often to ask a difficult question on the parsha, or Rash”i and to follow it with an extensive answer, which will utilize yesoydoys of the Ariza”l and Baal Shem Tov. There are some haghoys on it from Rabbi Yehuda Horovitz miDzikov ztz”l, known as Gilyoynoys Mahar”i. He made a number of very insightful notes in his sforim, like sifrey Toldoys Yakoyv Yoysef and this one. They were published under collective name Gilyoynoys Mahar”i. All this is available in new print. Expositions on seyder “Pri Eytz Chaim” of Ari haKodoysh. Made as a practical manual for performing mitzvoys according to kabbalistic teaching of the Ari za”l. There we see a tremendous work of the mechaber, where he combined all his extensive knowledge of kisvey Ari za”l and his precise and sharp insight to produce this masterpiece trying to get the most exact meaning from all various Ariza”l’s ksovim that he had. Available in new print. Reb Moyshe miDolina zy”o was a young talmid of Baal Shem Tov, and quotes him quite a number of times. After Baal Shem Tov’s ptira he became a talmid of Rabbi Yechiel Michel Zlotchever zy”o and quotes him a lot as well. Seyfer “Tshuoys Cheyn” - Beautiful chasidic maymorim deeply permuated with Baal Shem Tov’s teachings. Available in copy reprint of the old edition. Rabbi Gedalya zy”o was also a talmid of Baal Shem Tov in his youth, but he considered himself primarily a talmid of Rabbi Yehuda Leyb haMoychiach miPolnoe zy”o. Interestingly, many of his teachings have quite a remarkable connection to the Rebbe z"l and Breslover chasidus. (The same can be said about Reb Pinchos Koritzer’s maymorim. It worth to research this issue, for those who are seriously learning sifrey Breslov). Seyfer “Oyr haGonuz” - Quite an unusual seyfer, all built on the inyan of “oyr hagonuz” – a hidden light, and how it is found in every single parsha of Chumash. To prepeare the learner of his seyfer, the mechaber in his introduction gives a very lengthy and systematic explanation of the concept of “oyr hagonuz”, and because of this, his introduction has a big value on its own. Rabbi Yehuda Leyb ztz”l was one of the best talmidim of the Gr”o in his youth, but later he became an intimate talmid of the Mezhiritcher Maggid zy”o. He is the one, who gave haskomo on Taniya, together with his close friend Rabbi Zusha miAnipoly zy”o. Available in a very recent new print. Just worth to add, that there is another seyfer often called "Oyr haGonuz", which is really called "Oyr haGonuz leTzadikim". It was written by Rabbi Aharon miZelichov ztz"l. This is also a very beatiful and profound seyfer, but it shouldn't be mixed up with the last one. A Yid: I have been looking for "Kol Aryeh" by the Mochiach of Polonoye for some time. Do you know where I might purchase a copy? These are just references. I'm not in position to give recomendations, I just wrote about sforim which might be interesting to your blog visitors. (Not on-line but in the store itself). A Yid: I actually called there last week and they said that they did not have a copy since it was out of print. Any other ideas? About Reb Moyshe miDolina, I meant: "Its style is quite often to ask...". Please fix it if you can and delete this note. I saw Koyl Arye in "Oylom haSforim" as well. You can try Eichlers also. Would you happen to have the phone number for Oylom haSforim? I can find it out. What they have on the site is nothing comparing to what they really have in the store. But there should be contact info. I appreciate your help, A Yid. Thanks! Thank you, A Yid. I plan to learn some of the material you suggested. A Yid: Do you know anything about this sefer? I've never heared about it. Try Oylom haSforim, it's their gegent. Sechel: Tnaks for the interest. I hope you'll enjoy these sforim.